Zyris was founded in 2011 and develops custom software solutions for businesses. The company specializes in researching, designing and developing cutting-edge next generation technology. Their motto “helping ideas manifest, from the chip to the cloud and everything in-between,” has pushed them to create innovative solutions for both their customers and our designers. 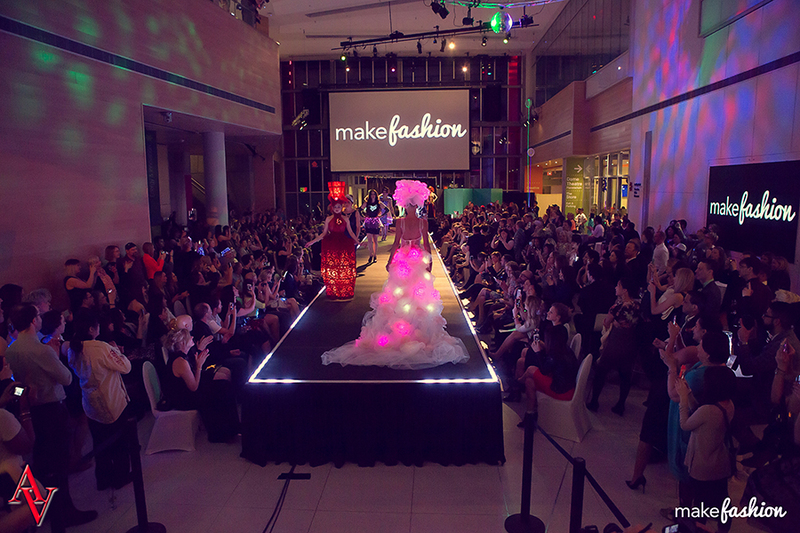 MakeFashion started working with Zyris two years ago and they have provided engineering, IoT, and software expertise since. 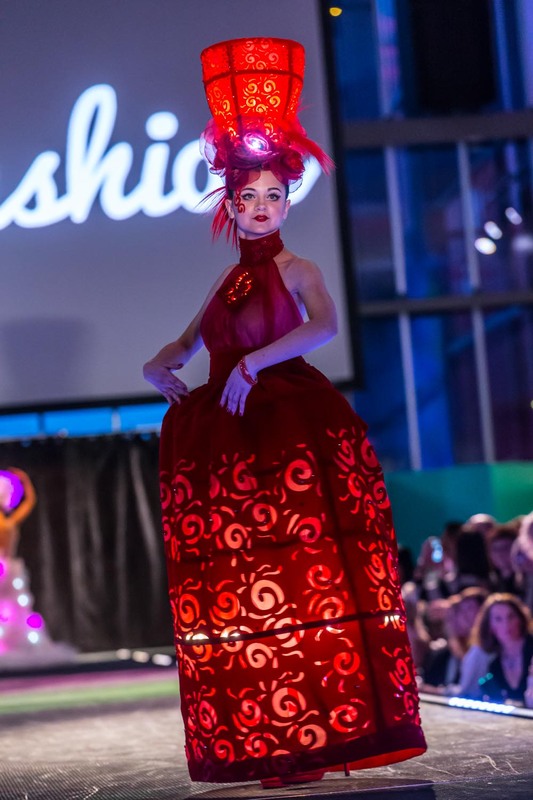 As a part of the MakeFashion 2016 gala, Zyris sponsored couture designer Kiki Beletskaia by integrating their proprietary technology into two garments ‘A Snow Queen’ and ‘A Japanese Doll’. The designs included a microcontroller that Zyris designed and developed called the Zyris Fashion Controller. The controller system is a combination of wearable hardware and software technology that supports up to 3 independently controllable output channels and 3 sensor inputs. This means that with the controller, a high-tech fashion piece has the ability to feature, lights, wi-fi, sensors, and even bluetooth. Sequilux, a white lace fabric wearable technology dress developed by Zyris, also uses the Zyris Fashion Controller. This year the Zyris team joined us at the wearable technology fashion show at the Wearable Tech Summit, put on by FashionWare during the 2017 Consumer Electronics Show (CES) in Las Vegas. 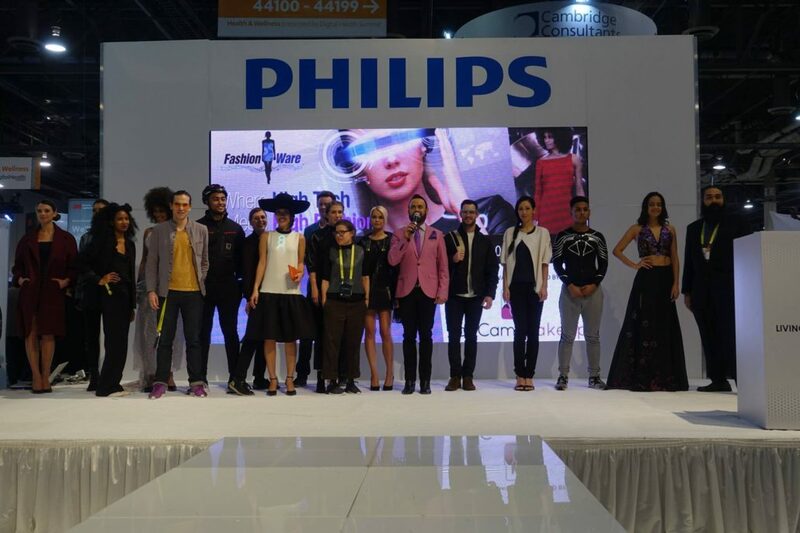 Zyris supported our designers and models before and during the show as our on-site technical lead. We’re happy to be working with Zyris again in 2017. This year, the Zyris team has expanded their role to work with us to develop an internal process to reduce the complexity and overhead of our fashion shows in addition to developing a cloud-enabled hardware ecosystem that reduces engineering complexity for fashiontech. Together, we share a common goal to empower and inspire the next generation of high-tech fashion designers. A big thanks to the Zyris team, we appreciate all you do for our team! Purchase tickets to our 2017 gala here.